It’s often joked that one year in Crypto is like five actual years in real life due to the rate of technological advancements and progress, or at least that’s what Crypto Twitter thinks anyway. My opinion? I think it’s actually more than five years! Just over a year ago, deploying a Masternode was a nightmare for most people. Words like privkey, masternode outputs, VPS, Linux, PUTTY or sudo were needed in order to understand how to successfully deploy a Masternode and many people who weren’t tech savvy would hugely struggle with the process. Later the word “script” appeared in most of the masternode projects, trying to make it more accessible and easier to deploy. The script would allow users to run one piece of code that would automate a lot of the set up process and would allow masternodes to become more attainable for more users who wanted to run one but didn’t have the technical skills to do so. Despite this, we still had a lot of barriers to overcome in order to make this an accessible and secure investment for the masses. Then, about one year ago (yes, just one year ago) some visionaries decided to launch a Masternode project with a one simple goal: Make Masternodes Easy. Just that. 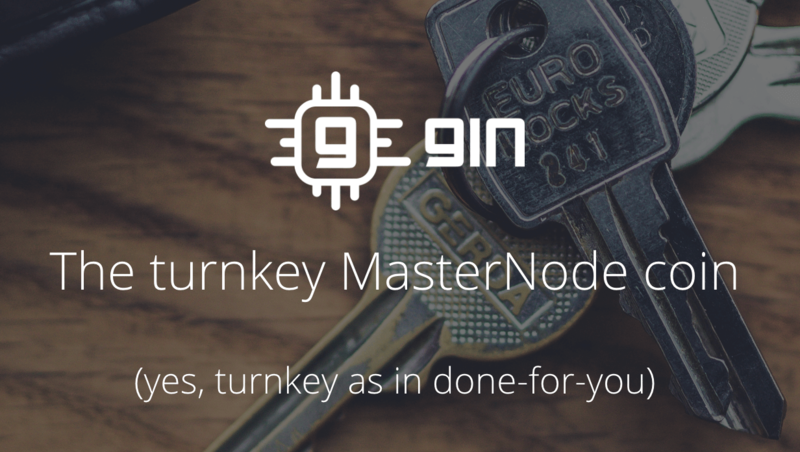 Deploy a hosting platform able to turn inexperienced Masternode investors into fully functional Masternode owners with only a few clicks,. This turned out to be a game changer for Masternode space and for a lot of projects (we will see how later). So, first of all, thanks Gin, you made this possible and this industry accessible to everyone. But today it’s so cheap and easy to create such a project as you only need to make another fork and you have a new coin (hundreds of projects with this payment use case later disappeared). So, what I like to call the second masternode revolution is happening now and this involves use case. If this first use case was payments then the second is focused on hosting. It looks easy now to deploy a hosting platform as prices went from $5 per server/month at vultr.com to about $1-3, but including easy deployment, in a lot of webs and platforms. However there are only three platforms deployed for now (as far as I know), that are the new instant shared Masternodes platforms. Gentarium, Midas and the insta shared leader Trittium are the only platforms that can deploy insta-shared nodes. In such platforms, you can host your coins with only €10 invested into their listed projects. Some Masternodes reach incredibly high prices, making it difficult to invest in certain cryptocurrencies such as Dash, the reference masternode, which has a current price of around 125,000 dollars to run a Node. The ‘insta-shared’ platforms allows us to invest from only €10 in these currencies and receive the rewards in proportion to our investment from the first minute of set up. They do also not require any technical knowledge since it is a three click task. You simply deposit the currency you have invested and press “invest”, with that you will receive the proportional rewards, thus facilitating the generation of passive income. The Masternode market is still hugely popular for now. At the time of writing there are about 240,000 nodes running but everyday more and more platforms and solutions are launched to the market. There are currently around 40,000 nodes hosted at different platforms. This adds up to about 16.66% of the total amount of MNs which was only about 6% at September 2018. Is this good for the Masternode ecosystem? No doubt, the answer is a big yes, and I would like to say a big thank you to all of them. Any action that breaks down barriers and facilitates the capital entry into the masternodes world is grateful and welcome. We saw how being a payment method is no longer a valid use case to develop masternodes projects and in the medium and long term they end up sinking, since they do not find merchants where they can use the currency. Now a lot of projects are trying to add value to their coin by adding a hosting platform to their use case. So sadly I guess that this will not add value to the projects in the long term, as over time hundreds of platforms will offer these kinds of services. The only differentiation for now here is to provide added value like insta-shares (not so easy to deploy) or, as always happens, a lower price. I believe that this current trend is not going to be a real use case soon either as all the projects will have the same idea and be able to offer a hosting solution. One more step is needed soon otherwise history could repeat itself. One new use case for most of the Masternodes project is needed. Gin are a platform who were wise to this and saw it clearly. Their freighter programme, which is currently in a beta stage, will see a new use case for their nodes. Trittium is another project that is looking to evolve their use case and they are currently waiting for their EU license to launch its P2P loans platform. Successful investments will come from the industry leader’s projects who are able to see what will happen to the market in the next months. My thoughts about the third masternode revolution. I think it will be related to data share, networks, computing and privacy. Fourth Masternode Revolution: Payments, money and crypto/fiat gateways. By 7de9, 2019, April 11.